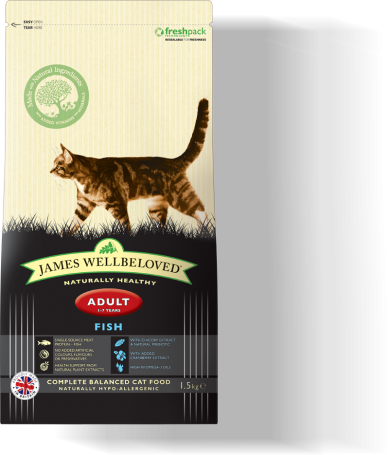 Carefully crafted and nutritionally balanced complete wet cat food for the health and wellbeing of adult cats from 12 months to 7 years. 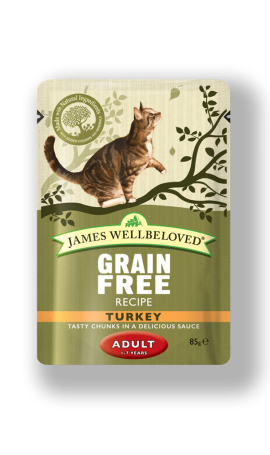 Using all our knowledge and experience, we’ve created James Wellbeloved Turkey Adult Cat Wet Pouch. We take a handful of ingredients from nature, one source of animal protein and combine them with all the vitamins and minerals your cat needs. And all the great taste it deserves. 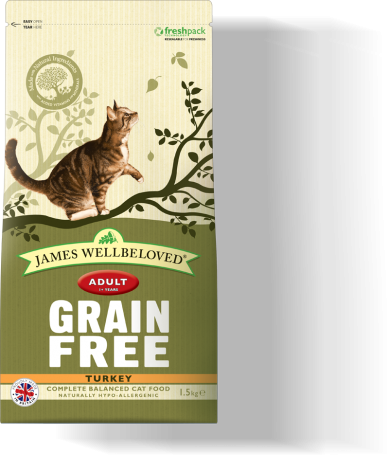 For added peace of mind, it’s naturally hypoallergenic so less likely to cause an adverse food reaction, made without cereals such as rice and barley for those more sensitive cats and you will never see any added artificial colours, flavours or preservatives. Not now, not ever. Our pouches can be fed alone as a complete diet or fed alongside our dry food. 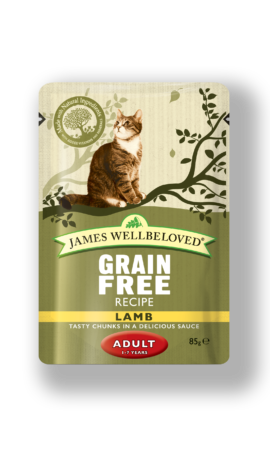 If you choose to feed wet and dry remember to reduce the quantity of dry food by 20 g per pouch fed.